Our mission is to bridge the big pink and blue divide in the toy section. Craft and creativity toys are designed to appeal to girls. STEM (science, technology, engineering, math) toys are designed to appeal to boys. 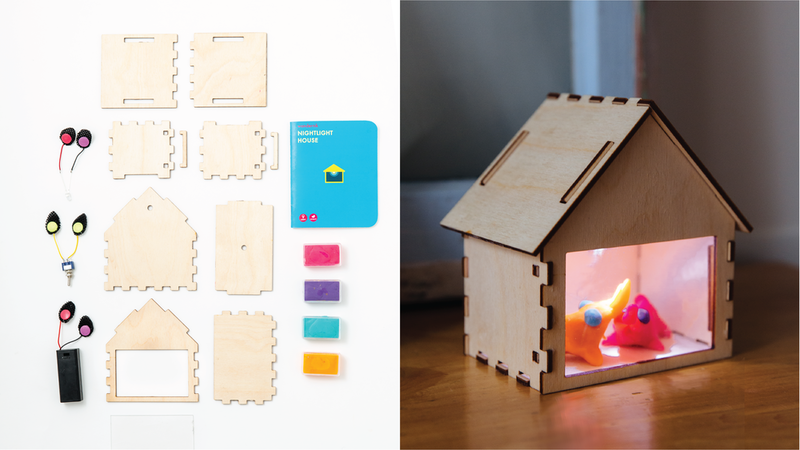 Our toy kits are designed for both girls and boys, and they develop the creative and logical sides of the brain. Sign up for Wondernik updates! Thank you for signing up! We'll email you with updates soon. 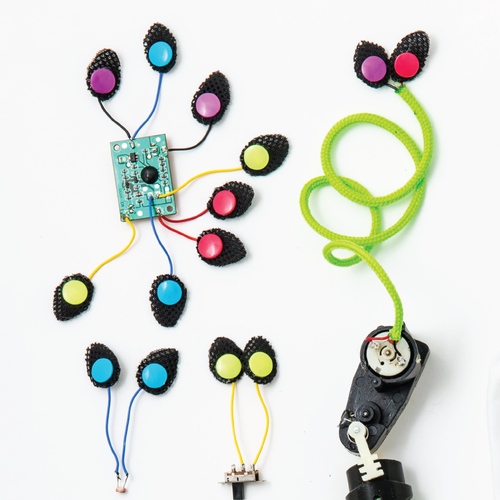 Connect batteries, LEDS, speakers, motors, switches, buttons and microcontrollers with a simple snap. Connecting the analytical and creative parts of the brain allows for more clever thinking. Yvonne has 15 years' experience designing products and toys for Nike, Samsung, Hasbro, Lego and others. For her daughter, she wants toys that encourage both technical skills and creativity, but they didn’t exist – so she's making them. Tara has 10 years' experience designing everything from jet engines to bras. As a child, Tara was always making something geeky or artsy; she wants to teach kids about combining both. She loves weaving and fat orange cats. Andrea has 14 years' experience building brands. Growing up she loved creating her school projects from scratch even if they were totally wonky. She hopes to encourage the same love of curiosity and resourcefulness in her two boys.